One of the things on my wish list this fall was a pair of over the knee boots. When I saw that Tory Burch was having a 30% off sale I convinced Michael to buy me these for my birthday! For those of you that know me, you might be wondering why Michael would be buying my birthday present in September when my birthday isn't until the end of November (or maybe you're not wondering because you know that's how we roll ;) ...I really wanted them and I knew they were too expensive to buy "just because" (even on sale they were $400!). Well, long story short, they arrived today and even though they were really pretty, they weren't that comfortable and I just couldn't justify spending that much money on a pair of boots I might not wear that often. I packed them back up and dropped them at the UPS Store before heading to Target to run some errands. While at Target I decided to check out the women's shoes. Truth be told, I was looking for the black version of my dv Jameson Double Side Zip Booties. Well, I found them, but only after I'd already found these OTK boots, so I decided to pass on the booties. They are super comfortable and cute, and bonus: they are only $49.99! On a whim I decided to check the Target Cartwheel app and I found a 10% off coupon (good through 10/1), so they ended up being $44.99 (even better!). I had planned on including some pictures with this post, but haven't gotten the chance to take any, and since the sale ends in a few days I decided to post this now and do another post soon with some cute outfit options! 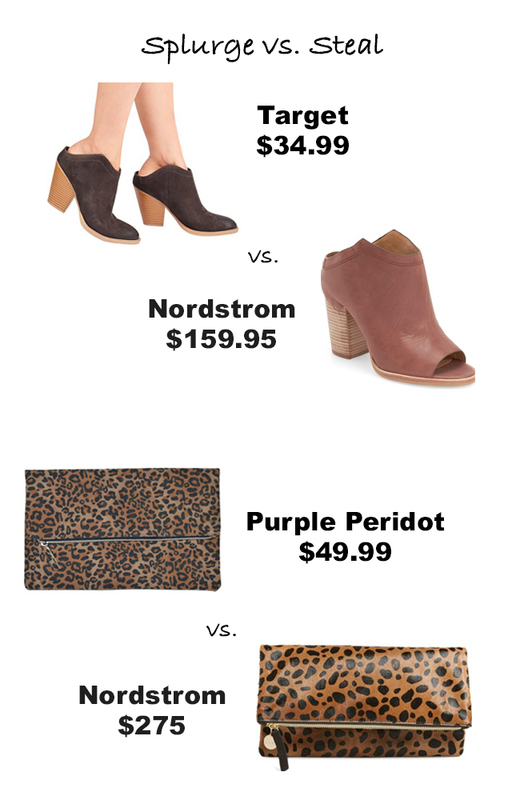 In the meantime, I've linked the exact boots I purchased above and some other cute Target options below. Happy shopping! It is still crazy hot in Texas and I am so over it! Yesterday I threw on this v-neck tee and distressed jeans with sandals (yes, still sandals) to go to lunch with my parents. As I was walking out the door I noticed my new Target booties sitting there (I may be a stickler about making sure Sophia and Carter put away their shoes, but me not so much) and realized that by switching out my shoes this was a perfect fall transition look! 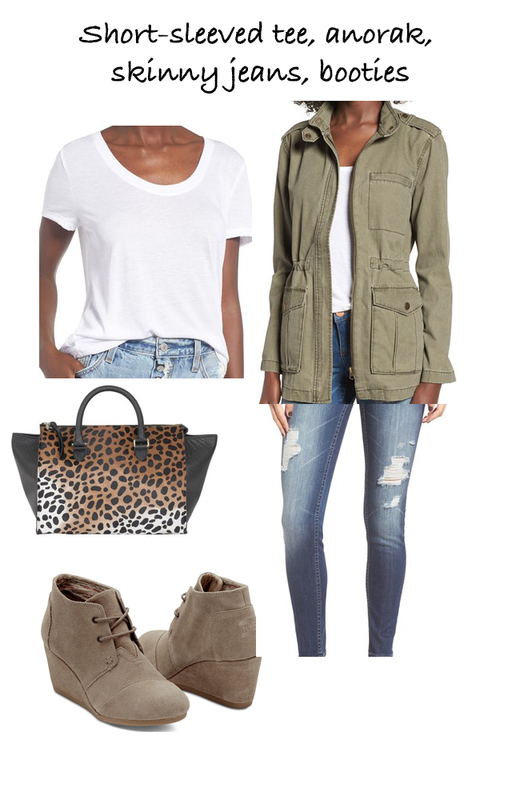 And the whole outfit (we're talking shirt, scarf, jacket, jeans, shoes) cost less than $200! Obviously you're not going to spend $200 on every outfit, but I'm sure you have similar pieces in your closet. I think that's my favorite thing to do - find outfit inspiration online and then go shopping in my closet! It's amazing how much warmth a scarf adds! 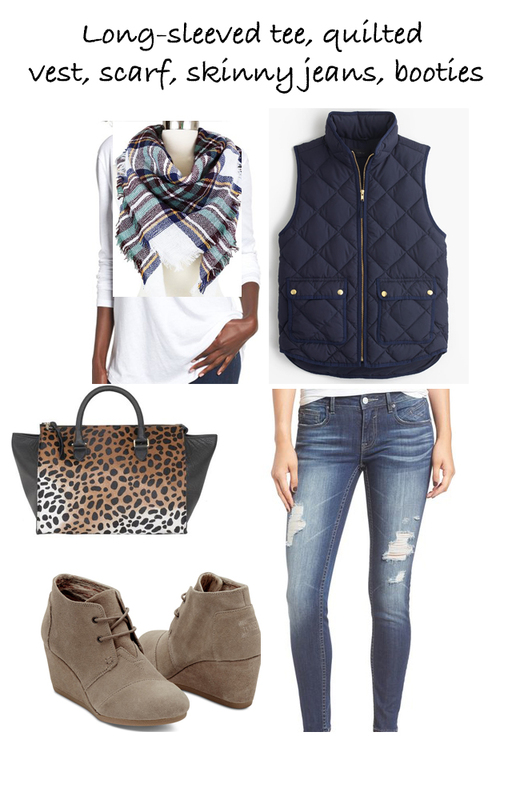 Here I added an infinity scarf, but a big blanket scarf would add more warmth if needed. Layers are key in fall, so I added a jacket to complete the look. Most of the time during the fall and winter, your jacket/coat becomes a part of your outfit. If you're outside you're not taking it off, so get a cute one! 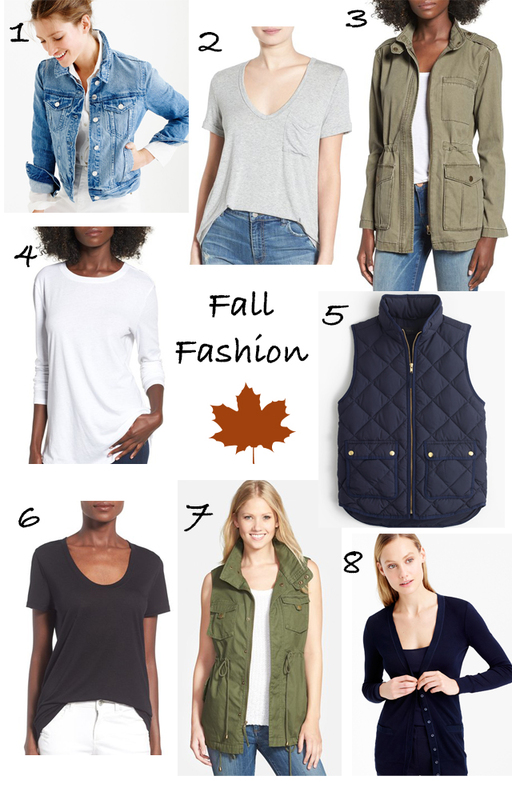 Hopefully this helps give you some inspiration for dressing for the fall! For this look I paired the top with a pair of distressed skinnies, fringe booties, and the leopard clutch I blogged about here. I think it would be equally adorable with white denim shorts or a pair of navy lace shorts, but I am so over shorts at this point (although the temperatures here in Texas definitely still call for them - the high today is supposed to be 97. Yuck!). I linked everything I'm wearing above, but I've also included some other options below including an off-the-shoulder dress and sweater that just got restocked at Nordstrom! Happy shopping! One of my best friends ordered this adorable shirt and when I saw it I knew that I had to have it! I decided that I didn't want to copy her completely, though, so I ordered mine in tangerine (hers is turquoise). It finally arrived late last week, so of course I had to wear it the next day! I decided to pair it with my new favorite jeans (under $70!) and my Target booties (less than $40!). The distressed jeans and booties dressed it up a little bit (as much as you can dress up a t-shirt) for a casual dinner out with my family. It's the kind of look that can easily be transitioned to fall with a great scarf and jacket. We got a new Samsung French Door Refrigerator over the summer, and I was so excited about the snack drawer. 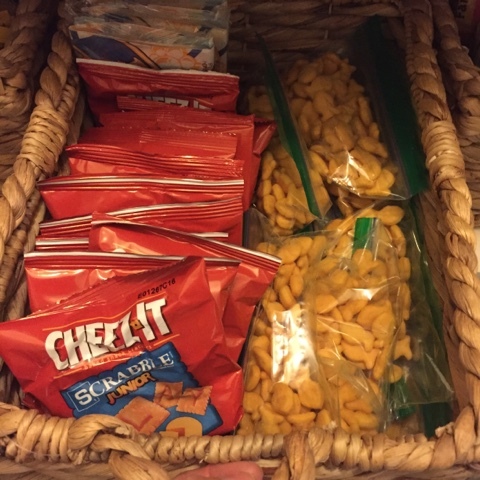 It would be perfect for Sophia and Carter's snacks and juice boxes! And then we got it home and my excitement faded a little. No matter what I put in there, the divider always ended up moving and things would shift around. It just wasn't as handy as I was expecting it to be. 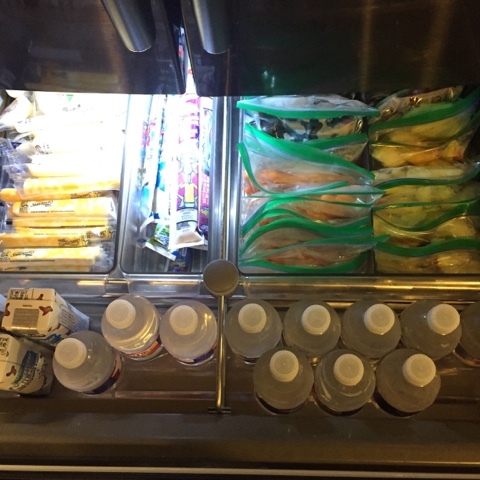 I kept thinking that there must be a way to lock the divider, but never figured it out, so I decided to improvise and add these Fridge Binz that I'd purchased when we got the fridge. Problem solved! I now love the fridge and cannot recommend it enough! I love having the full width for our refrigerated items, and it's so much easier to keep our freezer organized! I actually know what I have in there now! LOL! On to what this post was really supposed to be about - school lunches! Prior to the first day of school, we went grocery shopping and as soon as we got home we got to work. We got sliced apples and grapes, and petite carrots. 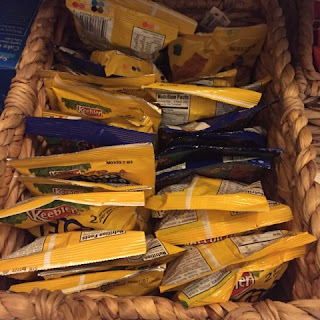 We portioned them out into individual snack bags. For the apples I added some lemon juice to each bag to keep them from turning brown (this worked for about three days and on day four Sophia & Carter complained that they tasted weird). 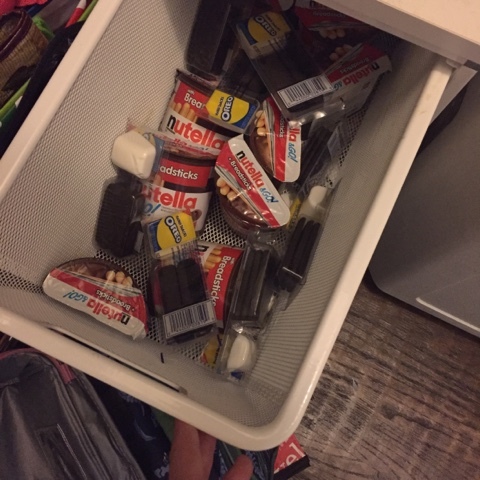 They fit perfectly in the divided fridge bin! 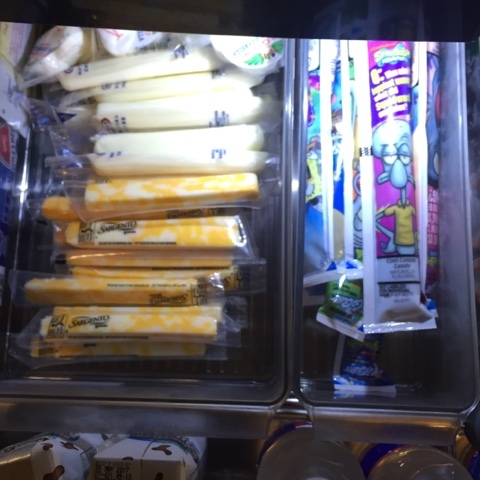 We also bought string cheese, cheese sticks, snacking mozzarella, and Gogurt, which also fit well in the bins. We had some mini bottles of Ozarka water, so I put those in the front section of the drawer along with Horizon Chocolate Milk (these didn't go in lunches, they just fit well in the drawer). 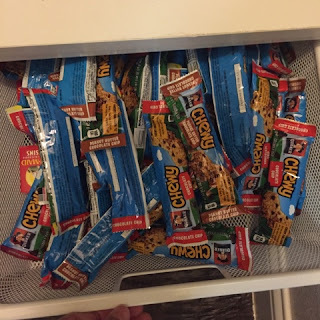 The lighting is kind of weird, but here is the entire drawer after we filled it. We also picked up some prepackaged snacks for their lunches, and portioned out the large box of Goldfish into individual snack bags. I organized them in these baskets from The Container Store. I threw miscellaneous items into these elfa Drawers. 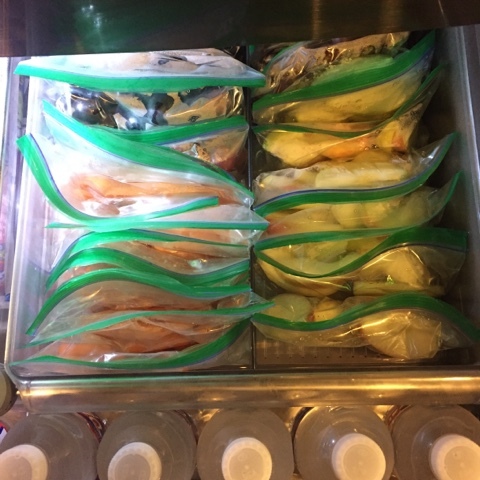 We are now in week four of the school year and it is so easy to pack lunches in the morning! Confession: Sophia & Carter LOVE the Smucker's Hazelnut Uncrustables, so those work as the sandwich portion of their lunches (probably not the healthiest, but a definite time saver, and the fruits and veggies cancel it out, right?). Hopefully my newly organized fridge and pantry inspires you to do a little organizing yourself! It certainly has made our mornings easier! I've seen a lot of look books lately and thought it might be fun to take some of the items listed in my "Fall Wardrobe Staples" post and create a look book of my own. For tops I used the short sleeved tee, long sleeved tee, and Lush tunic, which wasn't actually included in my previous post, but was something I picked up at the #NSale in multiple colors and is a great staple (it's still on sale for less than $30!). For jackets I used the anorak, a quilted vest and a cardigan. Two of the scarves pictured are Target finds, and the third one is a splurge (I don't see myself buying a $400 scarf anytime soon, but it's for inspiration only). I used the same jeans (under $70!) in each look. I changed up the shoes a little and included two ankle boot options, the TOMS Desert Wedges and the DV Nya Booties and one pair of studded heels. It's amazing how much a pair of amazing heels can change the look of an outfit! 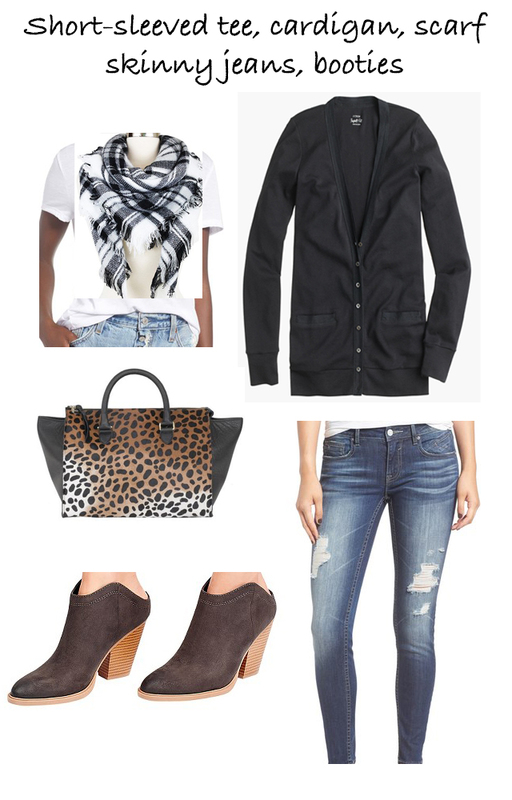 I've been lusting after the Clare V. Sandrine leopard print, so I included that as a "wish list" item. A really great handbag can do so much to complete your look! 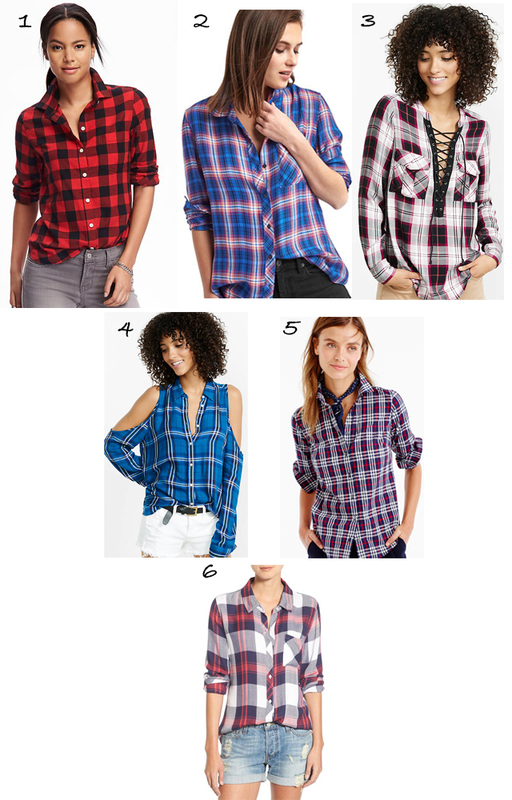 I realized after I posted the "Fall Wardrobe Staples" blog post that I left out a key piece of the fall wardrobe: plaid! There were plaid scarves in the post, but how could I leave out plaid shirts? Here are some of my favorites. I love the cold shoulder shirt from Express (4) - it would look adorable with some bootcut jeans (these from Express are on sale BOGO $29.90) and heels! I included options from everywhere from Old Navy to Nordstrom, and all but one option are under $100. I'm sure you have similar pieces in your closet, and if you don't I've linked several options, so hopefully these looks will be easy to recreate! Happy fall y'all! I decided that in lieu of an August favorites video I'd share some of my fall The first day of fall is September 22nd, but I'm ready to start dressing for fall now! Of course, I live in Texas, so there's a pretty good chance I'll still be dressing for summer for the next few months. Oh well, a girl can dream! When the temperature finally does start to drop, there is no guarantee it will stay down, so layers are key. Temps can go from 90 degrees one day to 40 the next (and sometimes it changes in the same day!). 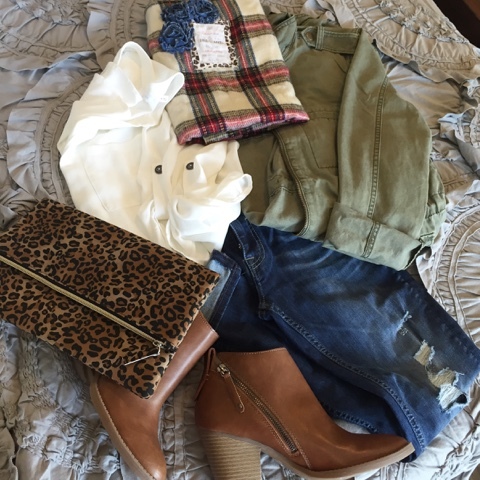 With that in mind, I decided to round up some of my fall wardrobe staples. 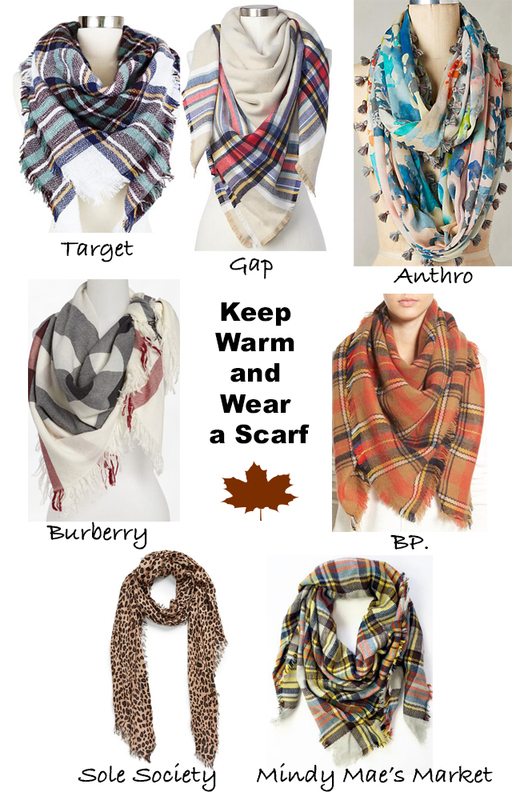 A really great scarf can totally make an outfit, and they're great for adding warmth! Even when I don't leave the house with a scarf on, I always have one in my purse just in case. 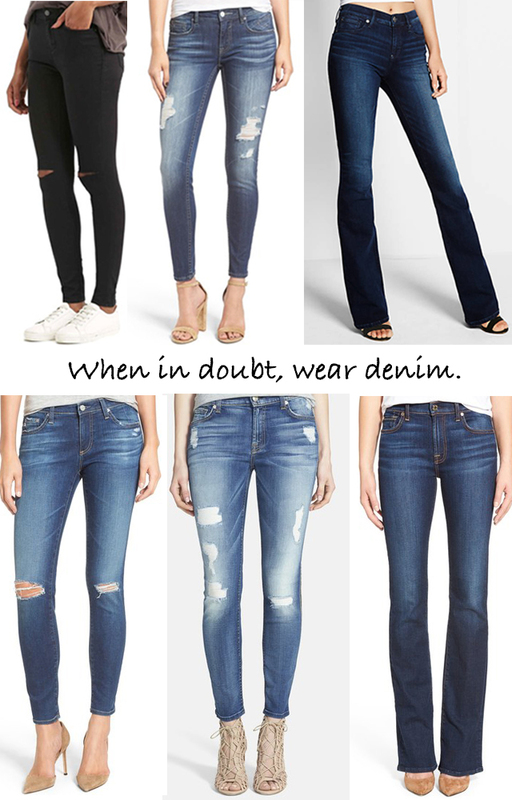 When the skinny jeans trend first started, I was sure that I would never buy them! Now it seems that they're all I wear! Okay, that's not completely true, but more often than not in the fall you'll find me in a pair of skinnies. I rounded up some of my favorites here (the first three are under $100!). I am all for splurging on a really great pair of shoes or an amazing handbag (or that Burberry scarf♥), but if you can find something similar for less, why not try it? Here are a few examples of steals I've found lately. Dolce Vita created a line for Target called dv, and the these Nya booties are nearly identical to the Noa booties from Nordstrom. At $34.99, you can't beat the price, and I think the closed toe is more practical for fall. I actually scored them a few weeks ago when they were having a BOGO 50% off sale, so I got an even better deal! I absolutely love my Clare V. foldover clutch (I have it in British Tan) and have been lusting over the leopard print one, but I found this one that looks almost identical and it was on sale for $18.99 instead of $275! Um, sold! Regular price is $49.99, which is still so much better! Okay, so the clutch arrived yesterday. I have to say that I'm not at all impressed with the quality of the material used on the outside. When I pulled it out of the package I thought it was wrapped in paper - it wasn't. It's cute enough, and from a distance you can't really tell the quality. It will work for now, but if I find that I'm carrying it enough I'll eventually get the Clare V. clutch. My recommendation for you is to snag it on sale like I did - $18.99 (or even $24.99, which is what it's on sale for now) is a pretty accurate price. Don't pay full price. 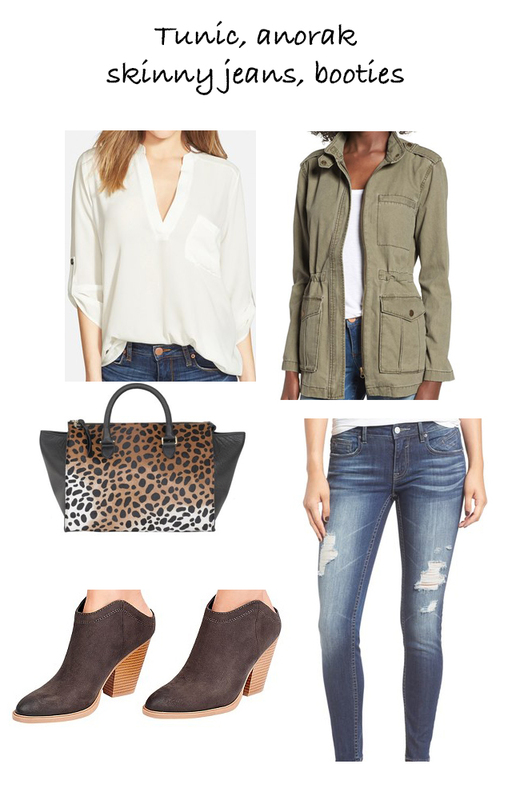 What are your wardrobe staples for fall? Make sure to comment below! Happy shopping!